You are invited to the 2018 Indigenous Tourism Ontario Regional Workshops. The workshops are taking place throughtout Ontario from October 15 – November 2, 2018. 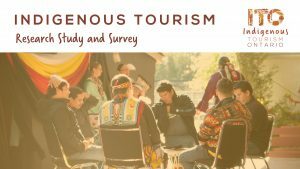 Inspiring Indigenous Tourism 2018 – Interactive workshops focused on strengthening our Indigenous tourism industry welcoming Elders, youth, EDOs, tourism operators, guides, community members and tourism partners. Ontario is home to many individuals with unique knowledge, skills, access and the passion to create engaging cultural experience to share with visitors. They are storytellers, guides, artists, singers, dancers, wood carvers, artisans, cooks and more.